Borders, flower, feathers and tag are fussy cut. Turquoise ribbon by May Art Ribbons. 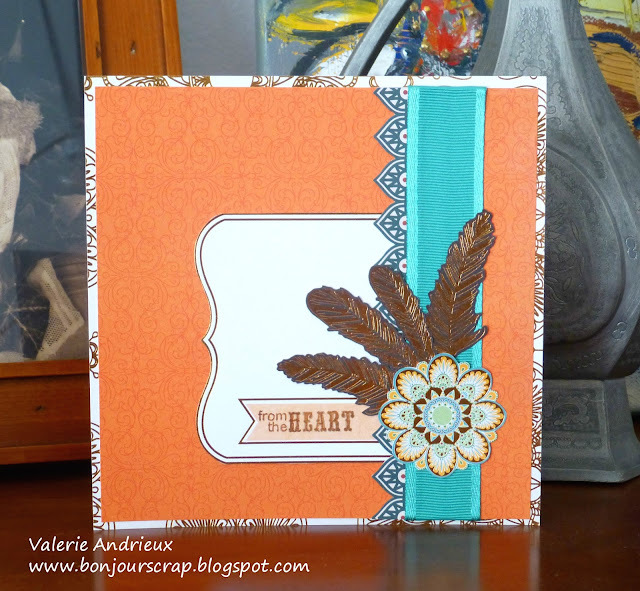 Sentiment Stamp by Maya Road. Have fun with it. I will now rest a bit, my back has said to me "too much standing in front of your computer !". I will hopefully be able to scrap again next week. Beautiful colors and an elegant design.